This housing is required for cameras installed outdoors, as it protects them from the natural wear and tear caused by the elements. Entirely in aluminum and waterproof (IP65), this housing can be installed outdoor. This camera housing has an internal cooling fan and heater. If in direct sunlight, or in an area with a hot climate (southern Italy, coastal areas), this housing automatically cools the camera when the temperature is too high. Then if the temperature falls below zero, for example in mountainous areas, the internal heater ensures it continues to function. The fan and heater are 12VDC power as the camera inside, and respond automatically to high or low temperatures. The heater also clears condensation and prevents the glass from misting. The upper lid is hinged to ensure easy access to the internal components and does not need to be screwed shut. The generous internal dimensions (107x80x245), mean that it will take not only the camera but also other devices such as power adaptors or wireless transmitters. RE-ST2 Bracket can be ordered separately. Like RE-C3, but for radio cameras with rear SMA aerial connector. This housing has been specifically designed to protect mini-cams such as RE-TBC3/4 and RE-TCC3/4 from dust and knocks. There are 3 separate parts: a base for wall-mounting, a transparent dome and an internal masking shell. 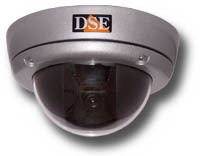 The mini-cam is fitted inside the dome and positioned at the desired angle. From the outside the housing looks like an elegant glass ball, usually fitted onto the ceiling, and it is impossible to see the camera inside. The RE-C5 housing is the most elegant solution for use inside high end settings such as offices, homes or shops, and blends in with decor, lending a technological touch. This housing is also compatible with wireless video transmitter, as it is in plastic, which does not obstruct the radio signal, even when the transmitter aerial is positioned inside. The external diameter is 132 mm, height 89 mm. The camera cable comes out from the base of the housing, which also has room for storing length of cable. A mini version of the previous model: diameter 85 mm x height 55 mm. This mini dome housing can be fitted onto the ceiling, and is ideal for use with ceiling panels. If it needs to be wall-mounted, we offer the RE-ST6 bracket (see below) for purchase separately. Dome housing like model RE-C5, in a robust, water-proof (IP66), knock-resistant version (IK10). 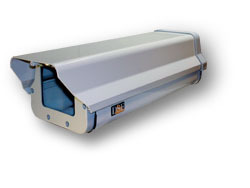 Ideal for use in locations where the camera risks accidental or deliberate damage (acts of vandalism). Comprises a die-cast aluminium base with a dome in reinforced polycarbonate. The cables can pass through the base or a specially designed side cable conduit. 142 (Diam.) x 84 mm. Weight 500 gr. This mini dome housing can be fitted onto the ceiling, and is ideal for use with ceiling panels. 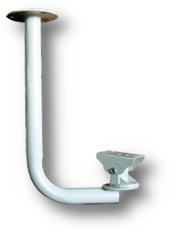 If it needs to be wall-mounted, we offer the RE-ST6B bracket (see below) for purchase separately. 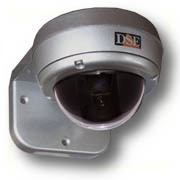 This die-cast aluminium bracket can be used for wall-mounting all DSE cameras. It is 16 cm long and comprises a bar and a ball joint. It is fixed to the wall with 3 screws. 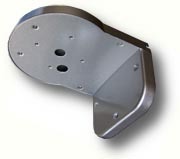 This die-cast aluminum bracket can be used for wall-mounting the housings RE-C3/CR3. 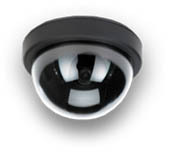 It is also suitable for the infrared illuminators and waterproof cameras. It features a very robust aluminum body, making it ideal for outdoor use: it guarantees optimum stability even in extreme weather conditions. Fixed with 3 screws (supplied). Length 260 mm. Max load 10 Kg. Swivel joint. Height from ceiling: 35 cm. Length camera support: 28 cm. This bracket offers a solution midway between RE-ST1L and RE-ST2. The tubular structure gives it a ‘light’ look similar to RE-ST1L which is ideal for indoor. At 22 cm from the wall, with an upward elevation of 18 cm, the camera can be directed more efficiently and gain a better view of the surrounding area. "L" shape and 360° swivel, make this bracket suitable even for fixing cameras and housing to the ceiling. 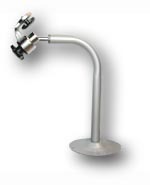 This accessory enables bracket RE-ST2 to be mounted on a cylindrical pole up to 14 cm in diameter, indispensable if cameras or IR illuminators need to be mounted on a pole rather than wall-mounted. This bracket enables the mini dome housings RE-C5S to be wall-mounted if it is impossible or difficult to fit them to the ceiling, as customary. This bracket enables the vandal-proof dome housings RE-C5B to be wall-mounted if it is impossible or difficult to fit them to the ceiling, as customary.